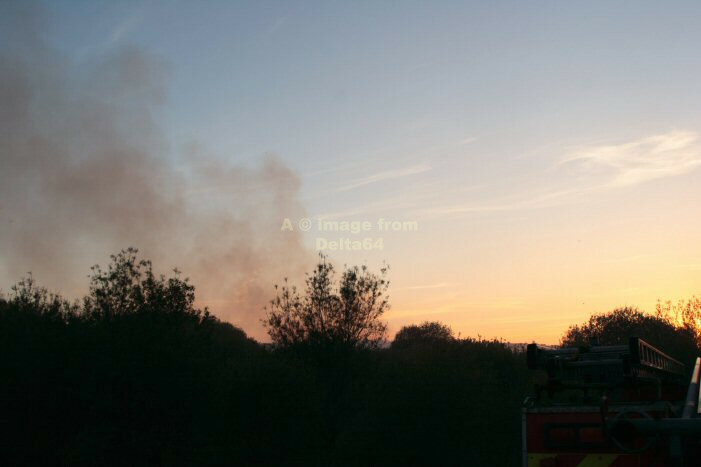 Although we used two SACUs at this incident over the two days, I only took pictures on Monday evening which are shown below. 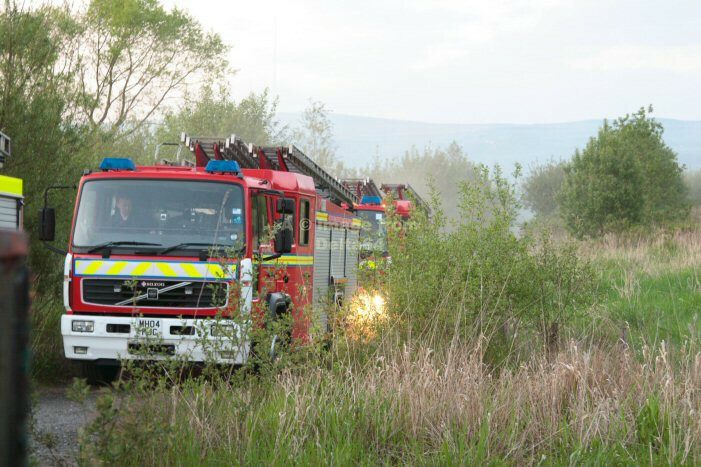 This incident involved peat which is difficult to extinguish. 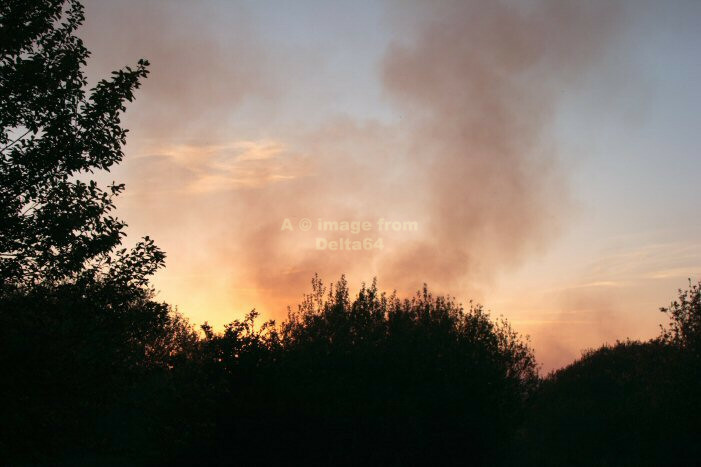 The brown smoke can be seen against the setting sun. 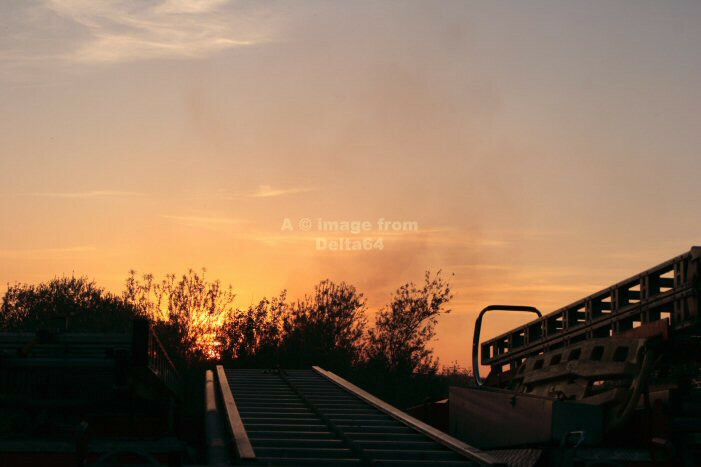 Both pumps from Bolton Central were seen in the evening sunshine. 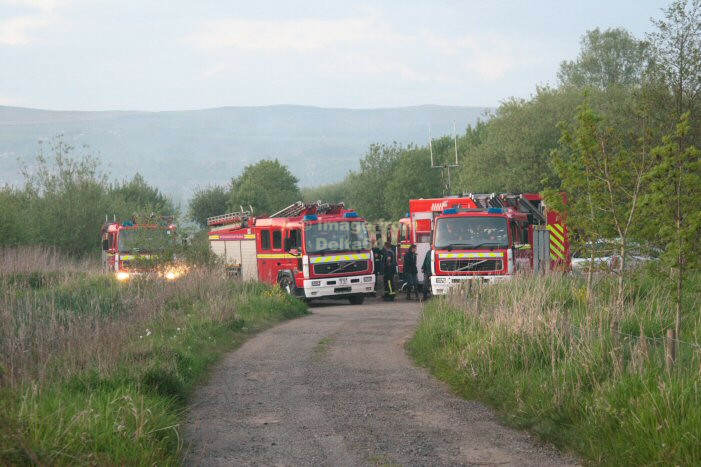 This picture of Bolton Central's pumps clearly shows the type of land that was vulnerable if the fire spread. 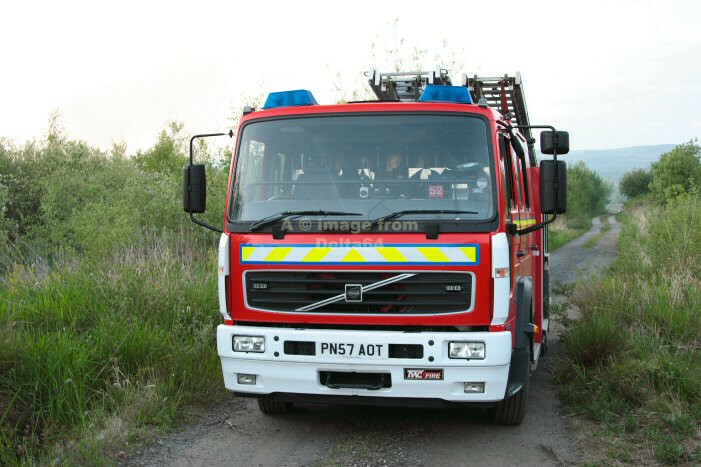 Volvo PN57AOT from Horwich illustrates just how difficult access was to this incident. 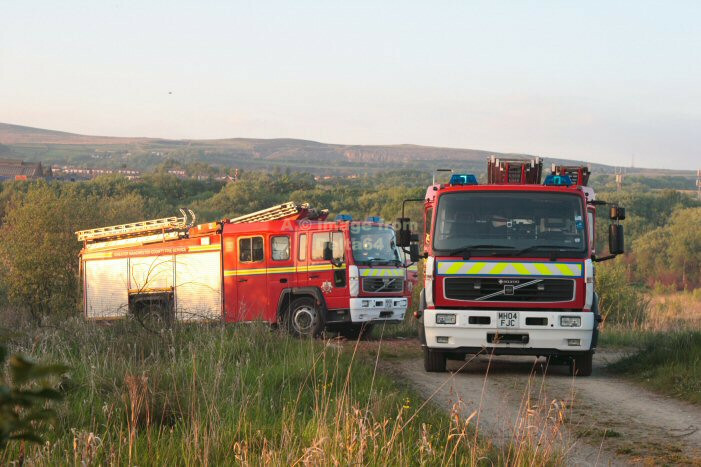 Appliances from Bolton, Horwich and the Operational Support Unit from Hyde with SACU 'B' just out of shot. 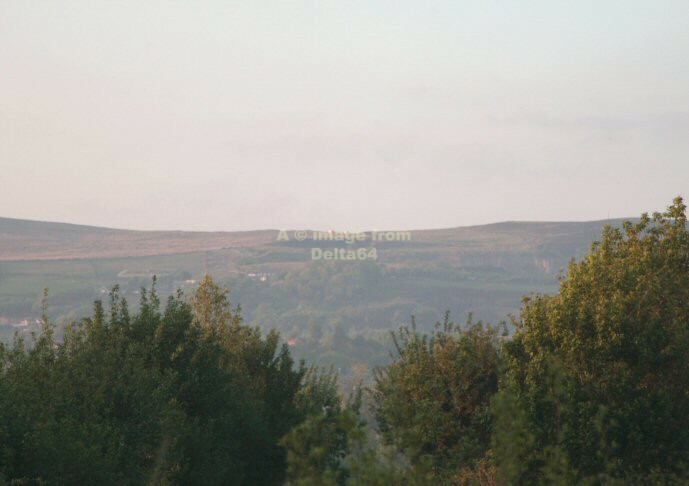 at the top in the centre, which were still involved with the incident there from Sunday 23rd May.